Are they good long term cages? I found someone selling a pair not close but not far away from me. We seen one of our gliders cages has a rust spot forming and want to find a replacement that we wont be replacing in a couple years. 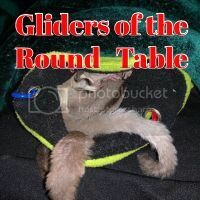 ( I am not sure how often others replace their gliders cages that why I am asking. Well I can't tell you about long term because I've only had mine since mid February, but I can tell you I LOVE mine! the space is amazing and I love how I can get in easily to clean it but there is no way for them to let themselves OUT on me! Plus I don't have to zip tie any doors shut. We have had first one for 10 months, second one for 8 months and so far I see no issues or problems.